PhotoModeler is a powerful tool for creating 3D models for animation and multimedia applications and is used extensively in animation, film and video production (pre and post). With this award-winning modeling tool, you can export simply and easily detailed 3D models with photo-textures for use in 3D Studio, OBJ, and VRML formats for use in many programs like Maya, 3D Studio Max, XSI, Cinema 4D, etc.. As well computed camera position data can also be exported. With PhotoModeler Scanner's Idealize capability you can remove all distortions from the original photos to provide highly precise background plates for further modeling work in your favorite modeling package. The Impossible, a movie starring Naomi Watts and Ewan McGregor, based on the true story of a family's experience of the 2004 Indian Ocean tsunami, had a key sequence that PhotoModeler helped produce. The film won a 2013 VES award for special effects. See The Impossible and PhotoModeler page for details. PhotoModeler has a capability called Perspective Matching, which is the process of determining the position of a camera when it took a photograph so that 3D graphics can be combined with that photograph. To combine 3D graphics with a photograph you have to tell the 3D rendering program where to place the camera, how to orient the camera, and the specification for the camera's internals so during rendering the 'perspective matches'. In the film industry when dealing with multiple frames - this is referred to as 'match moving' or "back-plate alignment'. 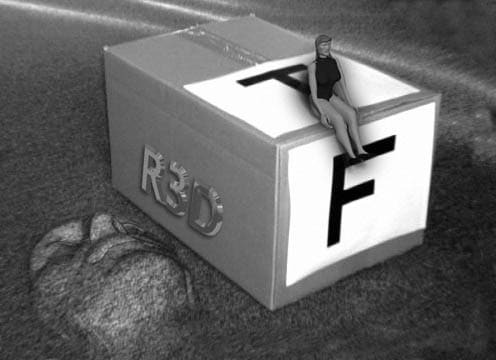 When PhotoModeler is solving a project to create a 3D model, it computes the exact position and orientation of the camera for each photograph. It also knows the accurate specifications for the camera's internal parameters (focal length, field of view, etc). This information can be exported from PhotoModeler for use in rendering and animation programs (such as 3D Studio Max, Truespace, Wavefront, Real3D, etc.). 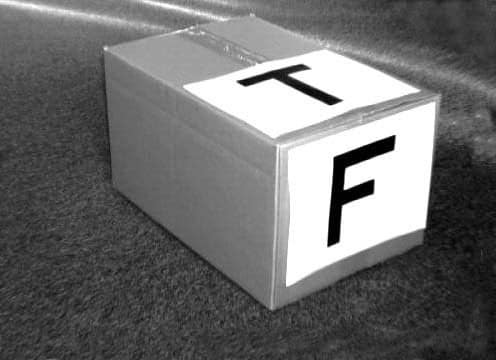 ​In this example we have an image of a cardboard box of known dimension but we know nothing about the camera that took the photo - we don't know what type of camera, what its focal length is, or where it was in space when the photo was taken. PhotoModeler's Inverse Camera feature and control points are used to solve the camera parameters and orientation. That information is then given to the Real3D animation/rendering program along with the 3D box model to perform a perspective match and rendering. The Motion tool is a valuable tool for scientific measurement applications. This project shows Motion's ability to capture the movement and shape deformation of an object over time. 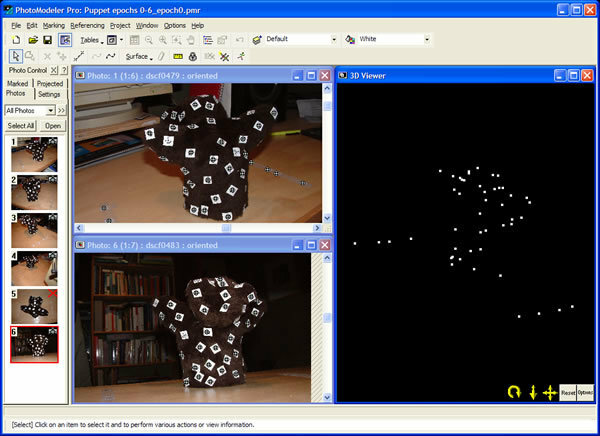 A puppet was used as an example object to demonstrate this application. The project is set up as a Type 2 project, which uses one moving camera and some static points. Coded Targets were placed on the puppet and on the platform. The platform targets were used as the static (non-moving) points. Photos were then taken to capture the puppet at the six different epochs (an instance in time when images are captured and when the object is temporarily stationary). ​The puppet changed shape between each epoch and the 8 static points remain common and stationary across all epochs. Coded targets were used for both the static and moving points for maximum automation. Using coded targets on the moving object allows for large and random movements without having to worry about the ability to track them. While the subject matter in this example is rather fanciful (a puppet), it does demonstrate Motions' capabilities in a stop-motion scenario.We ask the reader to 'extrapolate' this capability to their particular scientific, industrial or engineering application.